It’s difficult to believe that the future looked dazzlingly bright for Williams just four years ago, but the team’s upswing in performance in 2014 now serves only to heighten the sense of desperation as it slides into competitive obscurity. After the first third of the 2018 Formula One season Williams sits dead last in the constructors standings, its precious four points courtesy of Lance Stroll’s eighth-place finish at the chaotic Azerbaijan Grand Prix. It’s one of the team’s least competitive starts to a season in its history and its worst by points scored since 2013. Though Williams’s pair of third-place constructors title finishes in 2014 and 2015 were thanks to its then new Mercedes engine deal and its bigger-hitting rivals getting the new regulations wrong, success is supposed to breed success, with results translating not only into a greater share of prize money but also into access to more lucrative sponsorship deals, but in 2016 the team slipped to fifth in the constructors standings behind midfield rival Force India. The team’s contracting of Paddy Lowe at the beginning of 2017 was supposed to arrest the slide. Lowe, severing his ties with the then dominant three-time constructors champion Mercedes, was billed as the man who could install a winning culture and design philosophy at the Grove factory after more than a decade of struggle. Lowe, after all, is a man of considerable pedigree spanning 30 years in Formula One. His career began at Williams, where he played a role in developing the active suspension system that delivered the team and driver Nigel Mansell their respective titles in 1992. In 1993 he made a switch to McLaren for an 11-year stint that took him from head of research and development to technical director by 2011. The team took three drivers titles and one constructors championship but was often bested by Renault, née Benneton, and of course Ferrari during the most dominant period in the Scuderia’s history. The third chapter of his career is his most decorated, however, with a 2013 move to Mercedes as executive director (technical) paying off in the form of three back-to-back driver-constructor championship doubles between 2014 and 2016, one of the sport’s most comprehensive and dominant performances. His move to Williams as chief technical officer in 2017, then, was high profile not only in the sense that an apparently key cog in the Mercedes machine had come loose but also that midfielder Williams had picked it up. The lead time for a Formula One car is too long for Lowe to have had a major influence on the team’s lacklustre 2017 performance, which proved another slip backwards, but the Englishman used his first season to analyse where a 2018 car could improve on its predecessor. The 2018 car, therefore, is the first to be designed and built under the tutelage of Paddy Lowe. Disappointingly, perhaps even shockingly, it’s turned out to be a lemon. Lowe had undertaken an overhaul of the car’s fundamental aerodynamic philosophy, and through the level of detail on the car was praised at launch, FW41 has been slower at some circuits than last year’s car and, according to the drivers, difficult to drive in seemingly all conditions. Williams consultant and former F1 driver Alex Wurz told Austria’s ORF that the car’s biggest problem was that the diffuser was stalling at high speed, giving drivers no confidence in the car’s behaviour. Lowe, speaking to the Formula One website, admitted that the car wasn’t living up to expectations. “The car isn’t good enough, it’s not what it should be,” he said. “There are some issues with it, which fortunately we think we understand and we’re very busy doing a lot of work to fix those issues. “We have put in place a programme with the team, which we call a recovery programme … that programme is timed up to the midseason point. There’s more than just this season and, with 2019 development coming on tap imminently, next season at stake, however. With the team shedding staff in light of its poor performances, including chief designer Ed Wood and most recently aerodynamics head Dirk de Beer, Paddy Lowe is now being tested. For Lowe’s storied and championship-winning history in Formula One, he’s not considered to be in the league of Adrian Newey or, more pertinently, James Allison, his Mercedes replacement — indeed it seemed Lowe’s former team did little to convince him to stay once it became clear Allison, having left Ferrari in 2016, was on the market and looking to relocate to England. 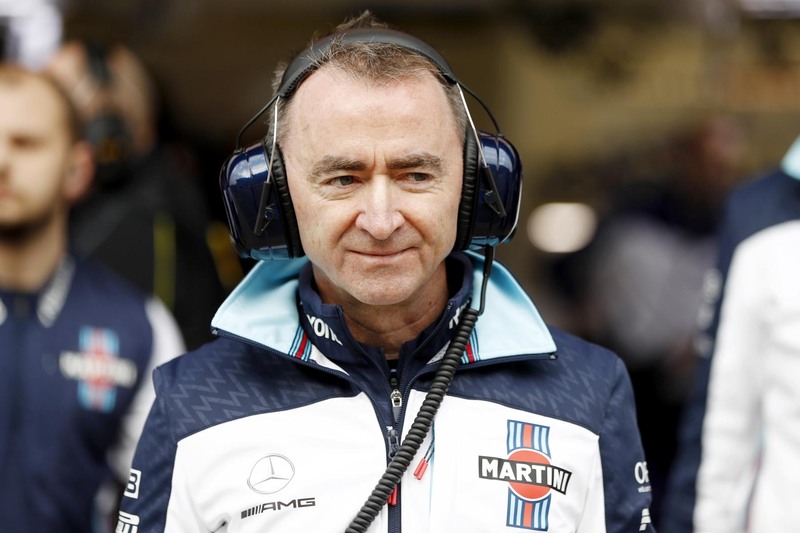 It’s no exaggeration to say Williams’s fortunes in the coming seasons are tied to Paddy Lowe’s reputation. If the team’s recovery programme, slated to mature before the August midseason break, fails to deliver a meaningful step forwards, Formula One will have no choice but to begin reassessing Lowe’s career.